We are added 2 new community contributions to our Tutorials page. 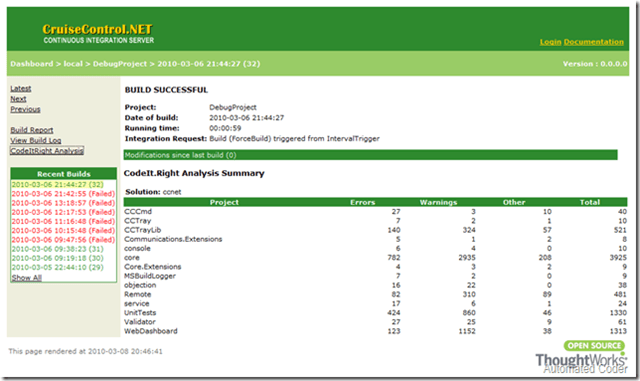 Craig Sutherland has done a great job integrating CodeIt.Right with CruiseControl.NET. Thank you, Paulo and Craig! Great work!